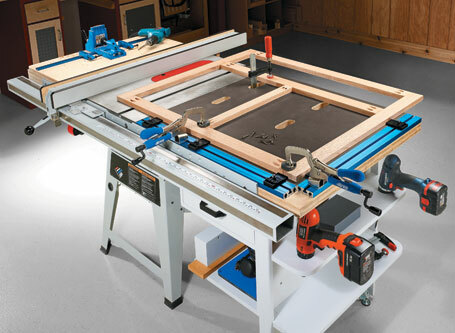 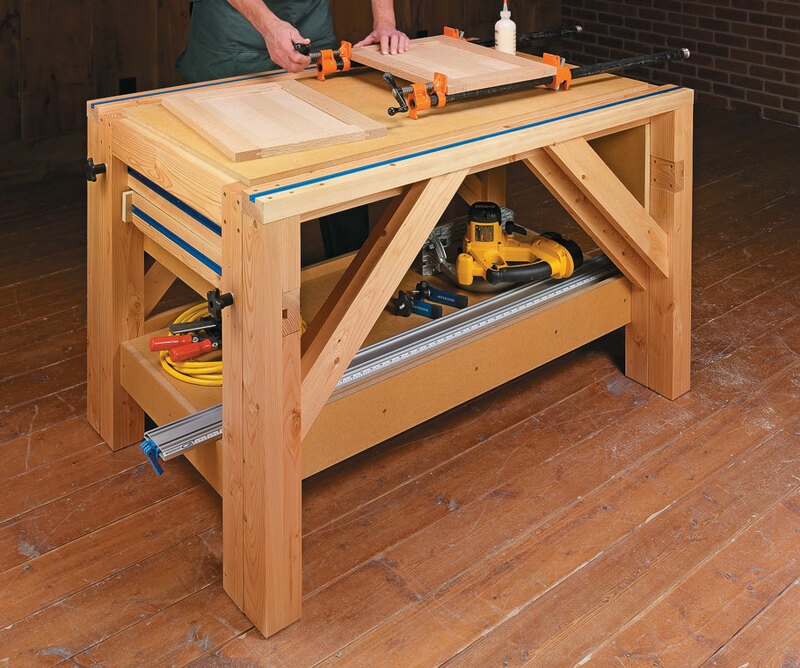 This easy-to-build workstation quickly expands to support full sheets of plywood. 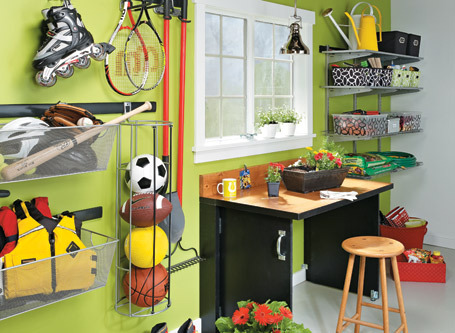 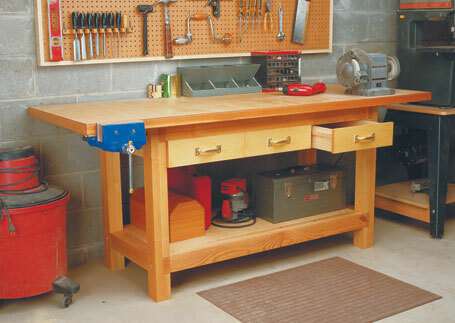 Most of the time, this versatile worktable serves as a compact workbench for all kinds of tasks. 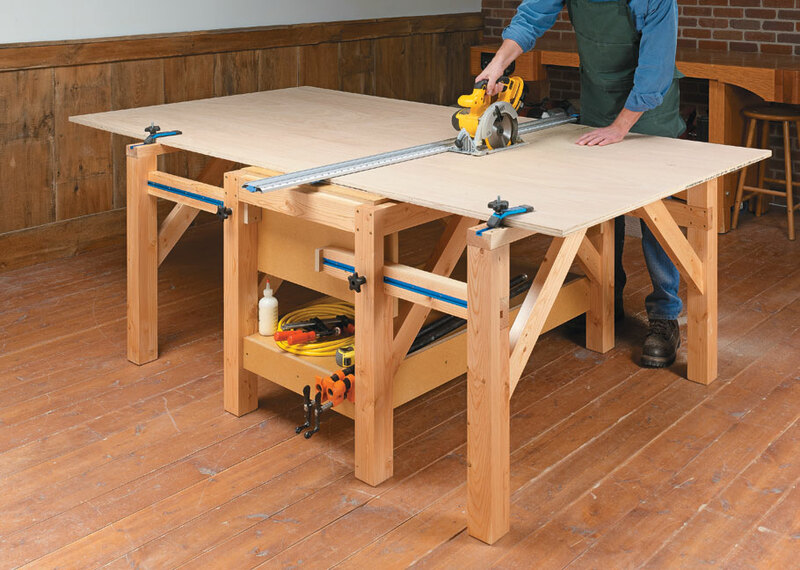 But pull-out extensions expand the table to support a full sheet of plywood when you need to break sheets down into more manageable pieces. 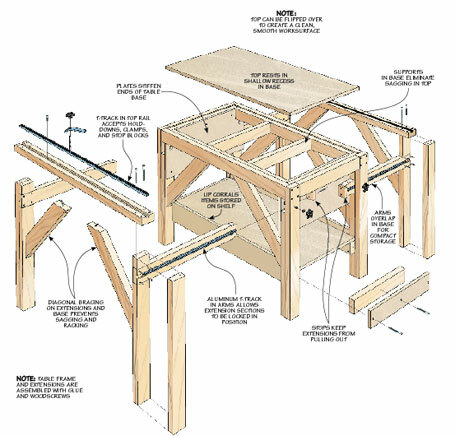 The top is sacrificial and designed to be replaced as necessary. 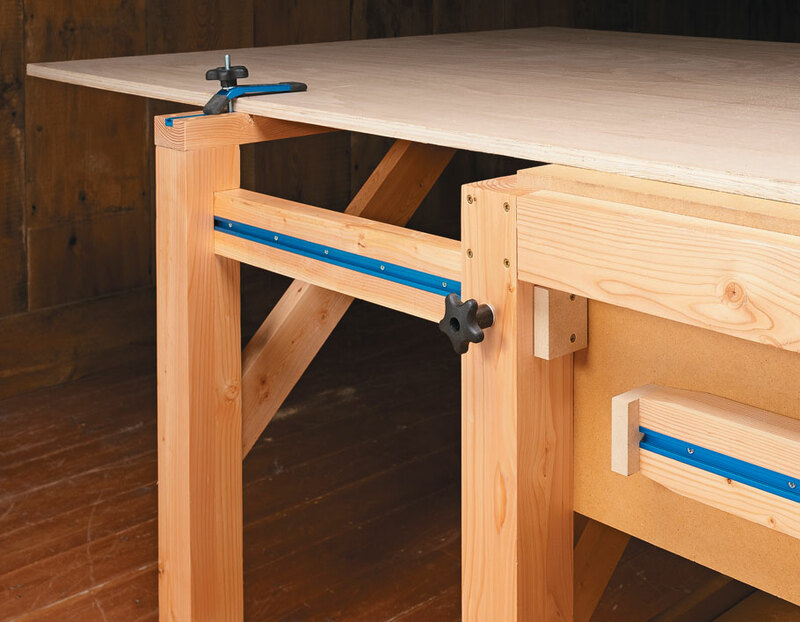 T-track on each extension provide clamping options.